I had a lovely day at Mj's crop at Thatcham yesterday. I had previously been asked by Mj if I would be happy to do a class, which in all honesty was a bit nerve wracking, as all the ladies who attend this crop have been crafting for quite some time and produce some beautiful work. I love to walk round and gain inspiration there - there's always something new to see and be inspired by. This is the layout the ladies followed. 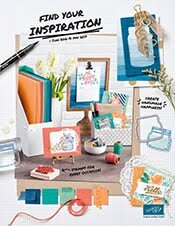 Originally I created this page after teaching another group of ladies how to make the tagbook at the bottom of the page, and wanting to show how minibooks can be incorporated onto a page, as well as being a standalone project. I've used the DSP Love Letters papers and the stamp set Circle Circus as well as a bit of bling, which unfortunately you can't see too well - but I'm sure you get the general idea. Thank you to all for the lovely comments left for previous posts, they're very much appreciated. I have always been stuck for ways of using this Circle Circus set. You have used it so well here! And I love the tag idea on the bottom! Hi Nicki, I am so glad you have been talked into joining blogland, you are so talented its been great to look at your work ... 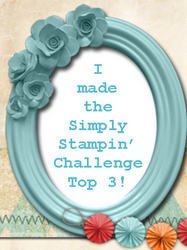 I love your stampinh up cards they are so stylish .... cant wait to see more from you!! The class you taught was amazing Nikki, we all like to wander round and look at your work because you are so creative and talented, thank you so much for the class.